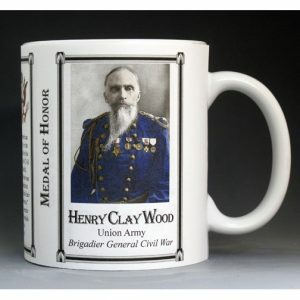 This Simon Cameron mug is part of our collection of Civil War biographical mugs. An image of Simon Cameron and a short biography are features of this history mug. 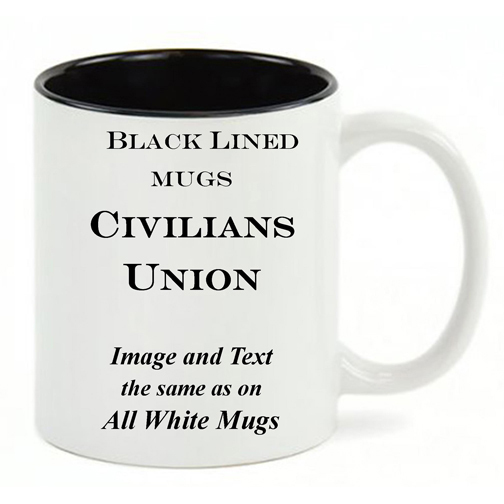 This Simon Cameron mug is part of our US Civil War series profiling participants in the War Between the States. Thousands of Confederate and Union soldiers fought in battles such as Bull Run, Antietam, Fredericksburg, Chancellorsville, Gettysburg, Vicksburg, Chattanooga, Cold Harbor and Petersburg. We honor their sacrifices by telling their stories. 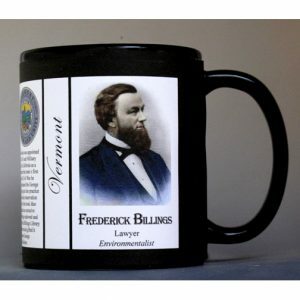 The USS Philadelphia mug is part of a biographical series profiling many unique aspects of Vermont’s fascinating history. An image of the USS Philadelphia and a short biography are features of this history mug. 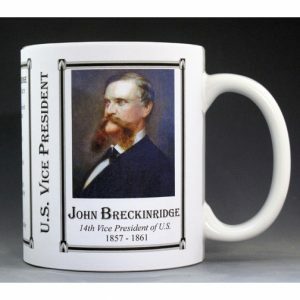 This U.S. Vice President Hannibal Hamlin History Mug is one of a complete collection of U.S. Presidential biographical mugs. 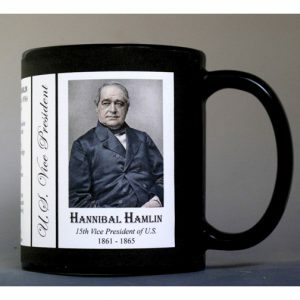 An image of Hannibal Hamlin and a short biography are features of this history mug.